After a hard winter and in and out of hospital for treatment John Mann, our eighty three year old member, looked forward to a trip out on the bike again. 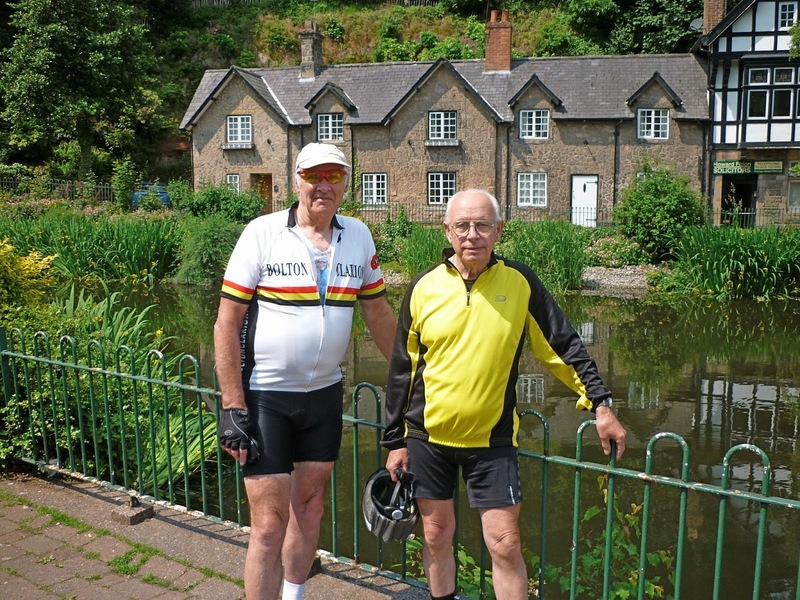 John has not been out since the Albert Winstanley memorial ride after which he was beset with a medical problem. John alleviated his illness by riding a set of rollers, as and when he felt up to it, with two half hour sessions a day, morning and afternoon. In between the roller sessions he would hop onto another set of pedals, those on his organ. John has been awaiting a nice slot in the summer weather so we took advantage of this weeks nice day. 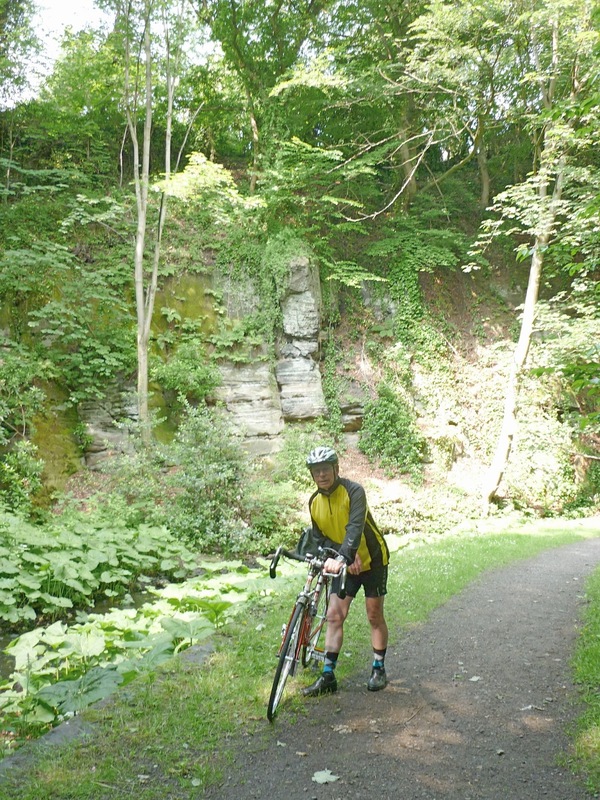 John's choice for a ride was a trip to Lymm, not for him a short ride up the road. We had this ride planned for when a bit of decent weather arrived, and today was the day. 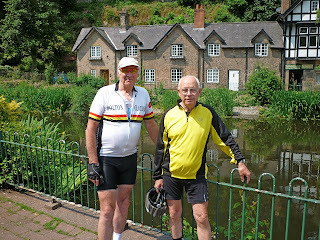 We enjoyed beans on toast and tea at 'The Bakery' in the centre of the village after approaching Lymm through a little known path that is really picturesque. We continued our break with an enjoyable chat by the lower Lymm dam, oddly the ducks also took a siesta basking in the mid day sun. It was a day like today that I made my first ever trip to Lymm over sixty years ago, despite a few changes it is still just as attractive. The return trip was much the same as our outward one, nicer weather though as the afternoon sun was really warm but here and there the strong breeze let us know we still had to push the pedals. As we parted company at Daisy Hill, John thanked me for the rollers, without them he declared today would have been impossible, but I like to think that John's determination to overcome his health problems was really the bigger factor. Like a man released from isolation, John truly enjoyed today and is looking forward to another, 'Grand Day Out'. An Autumn day in Summer. Sky Ride and recruitment of new members.